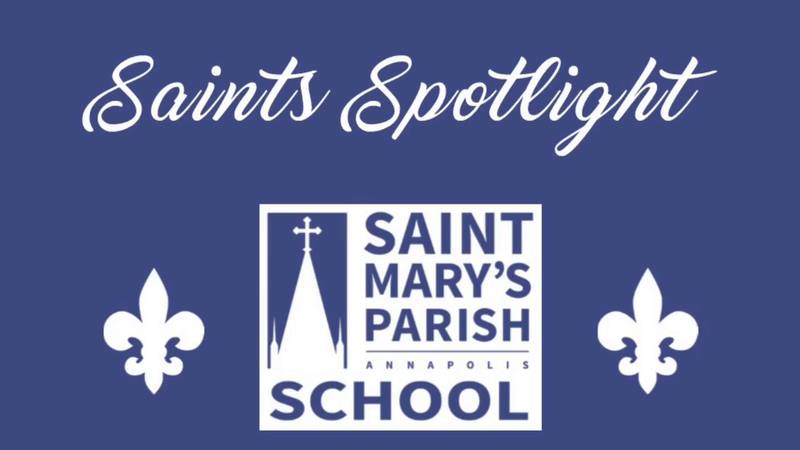 Students in the Ambassador Club tell their story by hosting shadow guests, attending school fairs, open house and admissions events to showcase their passion for St. Mary's. Our ambassadors explore the ins and outs of Marketing, Branding, Video Production as it relates to admissions. Their knowledge and leadership creates an unrivaled experience for our prospective guests that visit campus. Saints interested in video production will visit games, events and take an in depth look at the life of a Saint on campus. They will then capture these moments in video to create a lasting impression for prospective families. Ambassador Club Meets on Wednesdays from 2:30-3:30 in the Notre Dame Library beginning on Wednesday 9/7. Art Club provides students with the opportunity to grow as individual artists outside of a structured class setting with open studio time. Additionally, members participate together in various art projects within the school, parish and surrounding community. Since 1990, Coach Best has run the Breakfast Club and Saints have been showing up Monday- Thursday at 6:30 AM to lift weights before school. One of the major reasons that St. Mary’s has produced so many division I, II and III college athletes, despite its small number of students, is because of the participation in the Breakfast Club. Interested in Greek mythology? Loved the movie Gladiator? A Harry Potter fan? Curious about Greek and Roman daily life, law, parties? Come learn about the Greeks and Romans and find out why they are still important and alive today. We watch movies (good, bad, and awful) based on Classical themes and make Roman weapons, togas, and jewelry. At the end of the year we will have a Classics Party with authentic food, entertainment and costumes of our favorite characters, divine, human or in between. The Cooking Club is a way for students to learn the basics about food preparation and meals they can easily do at home and to share the exceptional talents of some of our more skilled students. We will also celebrate the joy of food and cooking through themes such as cultural foods, breakfast foods and holidays. The Club will meet every two weeks to once a month in Mrs. Baumann's room. Attend all of the COSA activities inside and outside of the school day/year. Attend all C.O.S.A. meetings—both morning general-assembly meetings as well as activity specific meetings that will be called by your C.O.S.A. or class moderator. Maintain regular communication (both in person and via e-mail) with your classmates, C.O.S.A. moderators, and your class moderator. Represent your classmates and their ideas to the best of your ability. Participate actively in all school-sponsored fundraisers and take a leadership role both in the classroom and school-related extracurricular activities. Facilitate frequent, respectful communication among students, staff, and administration. Abide by all of St. Mary’s rules and maintain a record free from disciplinary action. work, communication and leadership skills and dedication. The Environmental Club consists of students who have an interest in preserving and maintaining the quality of the Earth’s systems and the organisms that live on it. The club spearheads the recycling effort at school and organizes and carries out a number of events and initiatives to promote environmental education and furthers preservation and conservation. The Environmental Club also sponsors activities for Earth Day. Students competed in a variety of speech and debate events throughout the school. They honed their skills during weekly practices with our Naval Academy midshipman coaches. This year the team competed in National Speech and Debate competitions at George Mason University and Broad Run High School in VA, as well as in the Baltimore Catholic Forensics League. Students competed on the weekends and in Student Congress monthly. This year our students won awards in several events including Student Congress, Storytelling, and Impromptu speaking. Students also qualified for National Competition in Public Forum Debate. We said goodbye to our seniors but are excited to welcome new competitors in the 2018-2019 school year. The French classes tried their hands at making traditional French recipes at various points throughout the year. This idea continued into French club where we did a cheese tasting with French baguettes, mini French toasts and French jams. In December, the French club collected toys and made Christmas cards in French and Haitian Creole for kids in Haiti and in spring, they enjoyed playing the French game of Pétanque out in the Carroll Gardens. Four seniors were inducted as second year French Honor Society members and six juniors were inducted for their first time this spring. A handful of these juniors volunteered as peer tutors, helping the sophomore French students study after school on various occasions in the spring. members came in to help them prepare for a competition. Additionally a couple of Interact Club members were able to attend RYLA (Rotary Youth Leadership Awakening) in Chevy Chase, MD. where they experienced lessons in leadership, personal, business, and heard motivational speakers. At RYLA, they had opportunities to be leaders within our groups and had many chances to public speak in front of the whole conference. We look forward to future growth in the club and future leaders to join us as we strive to positive impact the local community. The new Leaders in Action Club was formed to focus on community service and leadership development. The mission of the club is to develop a passion for community service and develop the leadership skills to make a positive difference. This year our big project was volunteering at the Naval Academy for the Special Olympics of Maryland. We were timers, cheerleaders, food servers and event managers. Thirty one students volunteered 336 hours of their time one weekend in April. The lemon club is a branch of Alex's Lemonade Foundation whose mission is eliminate childhood cancer. Over the course of the school year we will host fundraisers in order to raise money and awareness for the cause. The lemon club is for anyone who wants to make a difference in their community by joining the fight against childhood cancer. This year the club hosted its first fundraiser with lemonade and home made goodies. The club members also donated their time at the Wellness House this past winter. The Liturgical Music Ensemble provides music for monthly school liturgies. Under the direction of performing arts faculty, this flexible group rehearses a variety of liturgical music and leads the music ministry for fellow students. Any student singer is welcome to join, as are student guitarists and other instrumental musicians. The music performed by the Liturgical Music Ensemble is varied and dynamic, encompassing popular hymn standards (“All Are Welcome,” “Taste and See”), spirituals and traditional pieces (“How Great Thou Art,” “Ave Maria”), and contemporary Christian praise and worship (“Oceans,” “10,000 Reasons”). Spirited participation in the Mass is encouraged of all our students, and the Liturgical Music Ensemble is a great way for talented students to lead their peers in worshiping and giving thanks to the Lord. The St. Mary’s Mock Trial Club is an extracurricular program for students who are interested in law, court procedures and the legal system. Over the course of the program, students improve their reading, listening, speaking, and critical thinking skills through careful preparation and stimulating debate. Prior to competitions, teams receive that year’s case booklet, usually modeled after real-life civil or criminal cases. An attorney advisor and teacher moderator will assist students in understanding and applying the law, discussing facts and evidence, and formulating strategies. During competitions, students will act as attorneys and witnesses, representing either the defense or plaintiff/prosecution. Competing students are responsible for presenting opening and closing statements, introducing evidence, memorizing witness affidavits, examining witnesses, and listening to opposing arguments. Performances are evaluated and scored by a judge or an attorney. Each competition provides teams an opportunity to receive productive feedback and enhance future debates. The 2017-2018 Mock Trial Case and Competition focused on distracted driving – a topic that yields 1.6 million car crashes a year due to cell phone use while driving. St. Mary’s Mock Trial Club was particularly successfully when arguing the case on behalf of the plaintiff, who alleged that as a result of the defendant’s negligence, was painfully injured in a collision. Our record this year was 5 wins and 5 losses. which students can learn about diplomacy, international relations, and the United Nations. students and allow them to develop deeper understanding into current world issues. Participants in Model United Nations conferences, known as delegates, are placed in committees and assigned countries to represent, or occasionally other organizations or political figures, where they represent members of that body. They are presented with their assignments in advance, along with a topic or topics that their committee will discuss. Delegates conduct research before conferences and formulate positions that they will thendebate with their fellow delegates in the committee, staying true to the actual position of the member they represent. aim to encourage literacy and writing. During the 2017-2018 school year, NEHS organized a book drive for children in need of books. The honors society also conducted multiple fundraisers including a bake sale during Banned Books Week and “candy grams” during Christmas and Valentine’s Day. These fundraisers helped NEHS fund the publication of the literary magazine Soundings. Love to sing? Want to perform music like they did in Pitch Perfect and on The Sing-Off? You should join St. Mary’s High School’s a cappella group Nothing but Treble! The group performs all of its music without any instrumental accompaniment – everything comes from the human voice alone. Interested singers and vocal percussionists must successfully complete an entrance audition demonstrating their vocal and auditory skills, but no prior knowledge of music theory is required. Throughout the year, students will develop a diverse repertoire of a cappella music and will perform in concerts both in and out of school. Annual traditions include singing at Open House, caroling in Downtown Annapolis for Midnight Madness in December, and competing in the ICHSA (International Championship of High School A Cappella) during the spring semester. In supporting this mission, students of all grade levels, 9-12, meet weekly to create rosaries for all branches of the military. We gather for an important cause while enjoying each other’s company and fostering community in our school namesake, Mary Mother of God. SADD's mission is to empower young people to successfully confront the risks and pressures that challenge them throughout their daily lives. SADD fosters a sense of belonging and promotes resiliency, leadership, and advocacy skills so that young people make positive life decisions that will carry them throughout life. This year the students conducted Red Ribbon Week activities by educating their peers about the dangers of drinking and driving through daily announcements, posters and information table set up during lunch. They participated in the Distracted Driving Prevention Week by hosting a school wide assembly. They were also one of seven schools selected in the State of Maryland by the Maryland Department of Transportation Highway Safety Administration to participate in the Making It Click campaign to encourage students to buckle up. St. Mary’s High School increased their seat belt usage by 31% and won first place in the campaign. This is an honor club open to qualified juniors and seniors. Meetings are held once a month, usually during lunch. This club is responsible for running the Red Cross Blood Drives in the fall and spring as well as other service projects. We also hold discussions, watch science videos, and plan activities dealing with science. An academic honor society focused on Spanish language excellence in secondary education and promotes a continuity of interest in Spanish studies. Its motto is "¡Todos a una!" ("All Together for One Goal"). The group, which was established in 1953 in the United States is sponsored by the American Association of Teachers of Spanish and Portuguese. Each chapter has its own unique name, which is associated with some aspect of the Spanish or Portuguese culture. Each society member must be at least in 10th grade and have taken a minimum of three semesters of Spanish. He/she is required to maintain a "honor grade" or GPA, which correlates with the Society's mission of high academic achievement. St. Mary’s STEM Club focuses on providing opportunities for students interested in STEM to design, create and utilize critical thinking skills. We participate in a variety of competitions including Sea Perch (underwater robotics), Team America Rocketry Challenge (TARC), and Cyber Patriot. For 2017-2018 we will be working with an organization to also design and print 3D prosthetics. We also strive to bring in guest speakers in the field of Science, Technology, Engineering and Math.